Herbalife Nutrition independent distributors never cease to amaze us. Whether it’s through innovative ways to further develop their business or through their commitment to care for and motivate their clients, they continue to inspire us everyday. This year, I would like to seize the opwportunity of celebrating Hispanic Heritage Month in the U.S. to share the profiles of three of our extraordinary Latina distributors, each one with a different and powerful angle on undertaking the challenge to make the world healthier and happier. Nancy Corado. Growing up, being close to my family and having their support was essential for thriving. When I worked as a preschool teacher, I saw first-hand how often children were alone much of the day because of their parent’s demanding office jobs. I didn’t want that. The business I have built allows me to settle schedules and priorities around what matters most to me: family. I am able to drop off my four kids at school in the morning, accompany them on field trips, and help them with their homework. My Herbalife Nutrition business has allowed me to be a present parent. Delfina González. 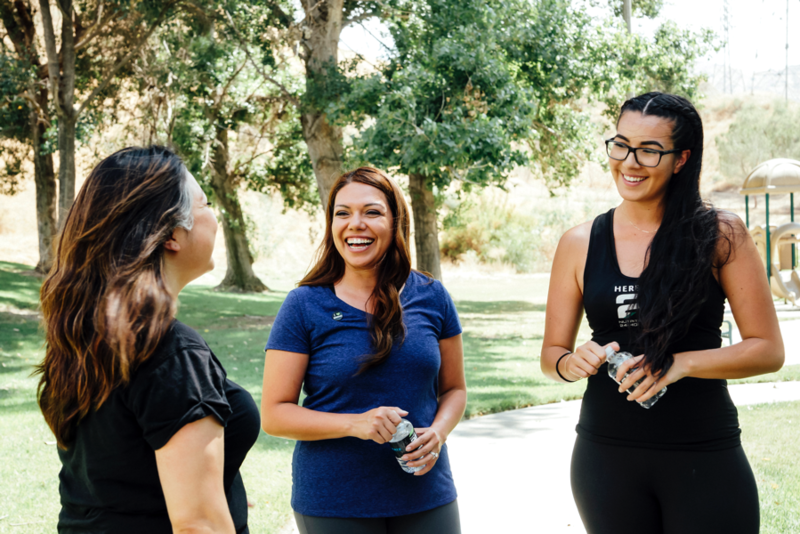 I had a clear goal: to be the Latina Herbalife Nutrition leader in my community and be the go-to source when it came to fitness and nutrition topics. Through public speaking and networking, I pursue my purpose to elevate the Latino community and spread awareness and interest in ways in which people can lead a healthier, more active life. When I speak in public, I always ask myself: how can I do more than talk? How can I inspire people to go out and be healthier and happier? I am committed to make a change and being the change in my community. Carmen Mireles. I grew up seeing my mom help support our family through direct selling. But she did more than just sell products to her friends and neighbors—she was positively transforming her customers’ lives. This inspired me to focus my energies in building a business that could do the same for my community. At my nutrition club, I offer nutritious alternatives and a friendly workout space to people who may not be able to afford a gym membership or have the time to spend on wellness. Instead of going through a fast-food drive-through window for breakfast, they can have a healthy Formula 1 shake, a protein bar and pack in energy and essential nutrients in a convenient, delicious way. These stories show not only how much hard work our distributors put into building their businesses, but how that effort pays off in incredibly meaningful ways, providing value to them and their customers through aspects that are truly important and cherished by each and every one of us: community support, personal empowerment, and stronger relationships.